The red rose arrangement is a bright and a beautiful way to send your love and affection across miles! This gorgeous heart shaped flower arrangement would sweep your sweetheart off their feet. Additionally, there is a small and cute teddy bear placed right at the center of this arrangement which is making this combo an innocent one. The red rose arrangement is a bright and a beautiful way to send your love and affection across miles! A gorgeous heart shape to create an incredible presentation to sweep your sweetheart off their feet. The lovely arrangement in a heart is a wonderful gift that any loved one in your life will adore. 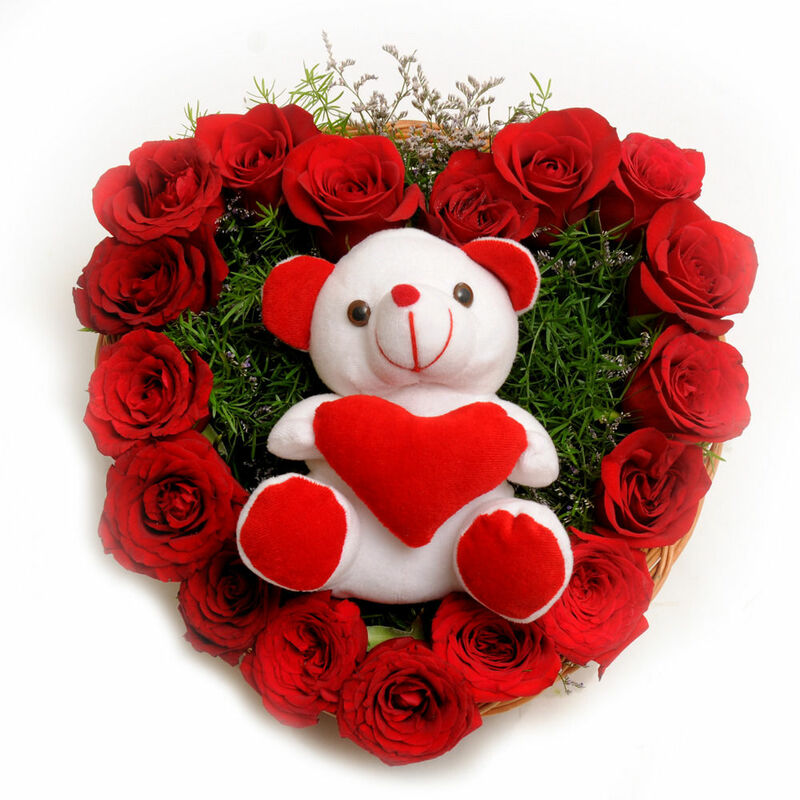 Heart shape arrangement of 17 Red Roses and 6 inch cute soft toy with lots of green fillers.